Recently China has made public a clear photo of US aircraft carrier taken by a satellite in its Jilin-1 satellite group. The photo has drawn wide interest as it shows that Chinese satellite has quite a satisfactory resolution ratio. China now relaxed its control of satellite photos from resolution of one meter to half a meter. As US charges $150 a square km while China charges less than $10, China will grab a large market share in satellite photo market due to not only the low price but also the short delivery time of 36 hours. US is making efforts to heighten its resolution ratio to 0.25 meters but can only achieve a ratio of 0.31 meter so far. To the question why China provides photos with resolution ratio of only 0.50 meter, experts’ reply is that it is the best allowed by Chinese authorities for the public. In order to take a substantial share of the lucrative satellite photo market, China’s Changguang Satellite Technology Company plans to have 60 satellites in orbit by 2020 and 138 by 2030. Moreover, China will build 12 large earth stations to receive satellite data with 40 sets of large-diameter antennae. The Depth Column of mil.news.sina.com.cn publishes an article on China’s success in winning over US ally France to supply Chinese military with what it lacks. The article mainly concerns warship guns. 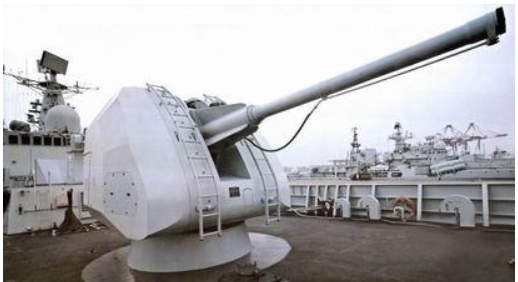 China found its warship guns imported from the Soviet Union outdated in early 1980s. France sold two advanced guns to China and provided China with some technology that the article gives no details of. Anyway, China has been able to develop advanced warship guns with combined French and Chinese technology. The article only says that France has provided Chinese military with whatever it lacks but gives no details about that. This blogger has some posts on the provision of weapons and weapon technology to China by US allies Britain, Germany, France and Israel. Readers may find more information in those posts. As I am not Chinese leaders, I do not know whether China has such goals now, but what China has been doing has proved Mr. Blackwill wrong in regarding China as having such a goal. In my opinion, China will be very stupid if it has such goals. First, the US has no primacy at all in Asia. That certainly has nothing to do with whether China has the goal to pursue such a primacy. The largest and militarily strongest country in Asia is Russia. Has the US primacy in Russia? Certainly not. Russia is invading Ukraine and interfering with Syria. US is unhappy but can do nothing to stop Russia. Does China have primacy in Russia? Certainly not. China refrains from being the leader of China- and Russia-led Shanghai Cooperation Organization (SCO) and prefers to have Russia as its leader. As a result SCO is led jointly by China and Russia. We can say that SCO has primacy in Central Asia and greater influence than the US in Pakistan and India that have recently joined SCO. Iran has shown great interest in joining SCO. Has the US primacy in Iran, an inveterate enemy of the US? Perhaps the US may draw India to its side in the future, but do not forget US-led TPP hurts India interests. US wants to contain China by its TPP, but China wants to conform to TPP’s stringent rules and join TPP while India utterly does not want to join TPP and would rather that there is no TPP at all. The US has no primacy whatsoever in the parts of Asia to the west and north of China! Perhaps, Mr. Blackwill meant East and Southeast Asia. The US cannot control Japan though it regards Japan as its major ally in containing China. US Vice President Biden tried hard for an hour but failed to persuade Abe to refrain from visiting Yasukuni Shrine. As a result, not only China but also South Korea was upset. Abe simply broke the iron triangle of US, Japan and South Korea, the major alliance that the US depends on its presence in Asia. Now, South Korea is closer to China with its free trade area with China while it has not joined US-led TPP. With Russia opposing the US, North Korea as US enemy and China the US fails to contain, the US has no primacy at all in East Asia. As for Southeast Asia, only the Philippines in ASEAN is US ally while some ASEAN members firmly support China and the others would not take side between the US and China. China will be stupid if it has the goal to seek primacy in Asia as it must know that it cannot have primacy in Russia, Japan or India. China has to live in reality, but certainly Mr. Blackwill and quite some Americans like Mr. Blackwill can live in their dream of US primacy in Asia as long as it makes them happy. Perhaps, Mr. Blackwill meant military primacy. True, the US has world strongest military, but that does not mean that US has military primacy. One has military primacy when it can achieve its goal with its military strength, better scaring others and less better in defeating others with such military strength. The US has failed to achieve its goal with its powerful military in Korea, Vietnam, Iraq and Afghanistan. It now can scare no one in Asia. In spite of its tremendous economic and military strength, the US is unable to have primacy in Asia. It is then ridiculous if China wants to replace the US for the primacy the US does not have. In fact, China will become a laughingstock if it wants primacy in Asia. As I have pointed out above, China cannot have primacy even in one of the three Asian powers Russia, Japan and India. This program may sound menacing, but Beijing’s ambitions are bounded. DOD observes that China’s leaders “portray a strong military as critical to advancing Chinese interests, preventing other countries from taking steps that would damage those interests, and ensuring that China can defend itself and its sovereignty claims.” Which is precisely what U.S. policymakers do. In the short term, Beijing’s principal objective is to advance its territorial claims in the Asia-Pacific without provoking conflict. In the longer term the objective, says DOD, is “to deter or defeat adversary power projection and counter third-party—including U.S.—intervention during a crisis or conflict.” That is, deterrence. Most important is planning for contingencies in the Taiwan Strait, East and South China Sea, and Korean peninsula. They all concern Beijing far more than America, and involve other, potentially well-armed states, including Japan, South Korea and the Southeast Asian nations, which are able to advance their own interests. China also is developing a capability for such missions as “sea lane security, counterpiracy, peacekeeping, and humanitarian assistance/disaster relief.” These tasks actually mirror U.S. interests. Washington officials might feel uncomfortable sharing leadership with the PRC, but that cannot justify a military response. Most important, even the Pentagon does not believe Beijing is planning an aggressive war. America enjoys a vast military lead, possessing a significantly larger nuclear force, ten carrier groups compared to China’s single carrier and much more. With Washington spending roughly $600 billion annually on the military, compared to an estimated $180 billion by Beijing, China is not overtaking America. Moreover, the PRC’s economic predominance is not guaranteed. China’s challenges are huge: white elephant investments, a shrinking labor force, inefficient state enterprises, ubiquitous bank bad debts, pervasive corruption and regional disparities. Because of Beijing’s one-child policy, the country may grow old before it grows rich. China’s military modernization program also faces serious challenges, including a slowing economy and pervasive corruption that afflicts the People’s Liberation Army. Even a more powerful PRC would not easily threaten the United States. Projecting force across oceans and continents is extraordinarily expensive. Deterring use of such force is relatively cheap. America is uniquely secure, enjoying relative geographic isolation—in contrast to China, which is surrounded by nations with which it has been at war over the last century: Russia, Japan, Korea, India and Vietnam. In fact, only Washington’s attempt to dominate China along the latter’s border (imagine the Chinese navy patrolling America’s East Coast) might trigger war. The United States understandably favors its friends in their disputes with the PRC. However, they should be responsible for defending their own interests. None of the ongoing territorial controversies is worth conflict with nuclear-armed China. Unfortunately, deterrence often fails. If Beijing ignores U.S. threats, Washington could find itself in a real war with a real power. Are Americans prepared to sacrifice Los Angeles or San Francisco for Tokyo or Taipei? Doing so would be madness. The United States should be watchful and wary of China’s rise. But the best way for the United States to prepare for the future is to husband its economic strength and respond militarily only if a serious threat develops. Otherwise, Washington should seek to accommodate, rather than combat such an important rising power. Doug Bandow is a Senior Fellow at the Cato Institute and a former Special Assistant to President Ronald Reagan. He is a Foreign Policy Fellow and Scholar with Defense Priorities. China Space News says in its report “Maiden flight of Changzheng-5 rocket will be conducted in the latter half of this year to increase Chinese rocket’s loading capacity 2.5 folds” that China’s new Changzheng-5 (CZ-5) carrier rocket able to carry 2.5 times more load than its best rocket so far has been assembled and passed comprehensive tests on the ground. It will be launched for the first time in the next half of 2016. According to the report, CZ-5 can carry 25 tons load to near earth orbit and 14 tons to geosynchronous orbit more than 2.5 times heavier than that its rocket in service can carry. It has 8 newly developed liquid oxygen-kerosene engine with a thrust of 120 tons each, giving the rocket a total takeoff thrust of 1060 tons. 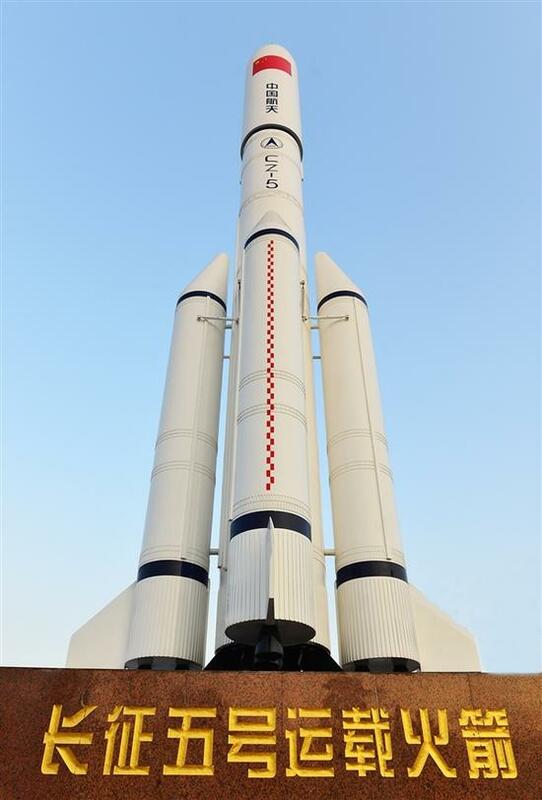 The greatest thrust of one engine in China’s rockets in service is only 70 tons. Its takeoff mass is about 878 tons. The rocket uses almost 100%, i.e. 247 items of new key technology while new rocket in the world generally only adopts less than 30% new technology. Moreover it has a designed reliability of 0.98 higher than the best reliability of 0.97 Chinese rockets have achieved. 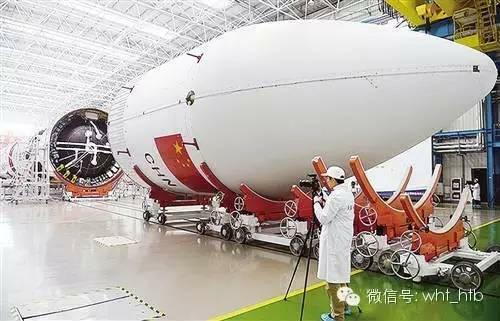 The rocket, if succeeds in its maiden flight, will be used in China’s projects of manned space station, third phase of lunar exploration and Mars exploration. 1. It can detect F-35 much earlier that the F-35 is able to detect it. Being better stealthy and having more powerful radar, a J-20 can detect an F-35 at a distance double of that at which an F-35 can detect a J-20. 2. Armed with longer-range air-to-air missile, it can shoot down an F-35 before the F-35 is able to detect it. 3. 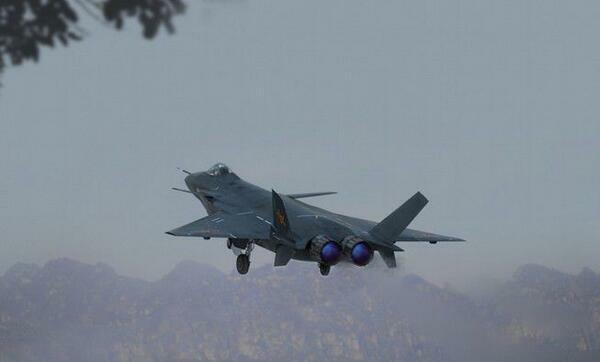 It flies faster than F-35 so that F-35 will not be able to escape when it is aware that it has been detected by a J-20. We have no official confirmation of the above information about J-20, but since the US wants to resume production of F-22, US military must be aware that F-35 is no match to J-20 (see my post yesterday titled “US Leaders’ Lack of Vision Enables China to Catch up with US”). Source: mil.news.sina.com.cn’s report “Depth Column: Thank US high officials for giving Chinese air force at least 10 years to catch up” (summary by Chan Kai Yee based on the report in Chinese). China’s mil.news.sina.com.cn publishes an article expressing gratitude to US high officials for giving Chinese air force at least 10 years time to catch up with the US in stealth fighter jet. US leaders failed to see that emerging economies will catch up and even surpass the US if US economy remains stagnant. 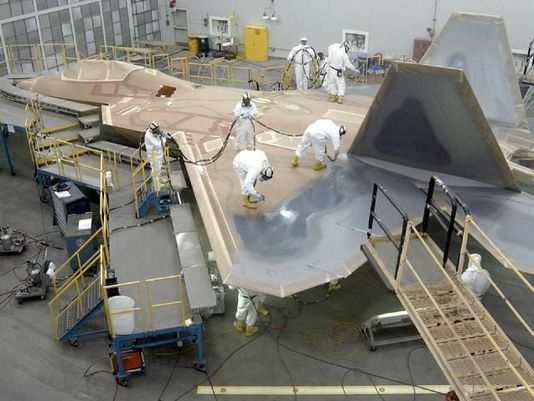 Believing that the US is too advanced after Soviet Union collapsed, they have stopped production of F-22 and switched its focus on the development and production of F-35. Chinese leaders however have the vision to see that when China has grown comparable in strength with the US, the US will make every effort to contain China and even attack China in order to remain the only hegemon in the world. When the US began creating trouble in the South China Sea and then regards pivot to Asia as its priority, China stepped up development of its J-20 that is capable to grab air dominance from F-22. The article makes comparison between J-20 and F-35 and points out F-35 is no match to J-20. The US is certainly clear of that and now decides to resume production of F-22. However, due to its cessation of production of F-22, the US has given China at least 10-years time to catch up with it. Now, US military both officers and experts are talking about how to defeat China’s A2/AD. It proves again their lack of vision. For example, they are talking about attacking China with cruise missiles launched from attack nuclear submarines. China has built artificial islands in the South China Sea to prevent the attack. However, they pay no attention to the possibility of China attacking US homeland with cruise missiles launched from not only nuclear but also conventional submarines. Conventional submarines will not be able to return to China after the attack due to their insufficient range. However, when US pilots retaliated Pearl Harbor they were willing to risk being captured in Japan occupied China to conduct air raid at Tokyo. Are you sure that Chinese submarine crew will not take similar risk when their homeland has been attacked. The US is developing B-21 prompt strike bombers for attacking Beijing. Do they have the vision to see that China can also develop prompt strike bombers to attack New York. Chinese economic growth rate is decreasing but till much higher than US. If US economic growth rate remains slow, Chinese economy will certainly grow bigger than US and enable China to make greater investment in weapon development. China does lag behind the US in developing such bombers, but the US has stopped development of such bombers for a long time and has thus given China much time to catch up. In playing chess, one has to calculate his opponent’s possible next three moves. Do US politicians, officers and military experts have such skill? If not, begin to learn the skill before it is too late. Comment by Chan Kai Yee on mil.news.sina.com.cn’s report “Depth Column: Thank US high officials for giving Chinese air force at least 10 years to catch up”. The report is in Chinese and Chan has given summary translation of the report here.